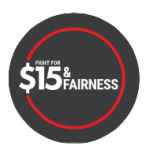 Despite Bill 47 passing in the fall of 2018, the fight continues for those who say they want to see the rights of workers protected and the minimum wage set at $15 an hour. 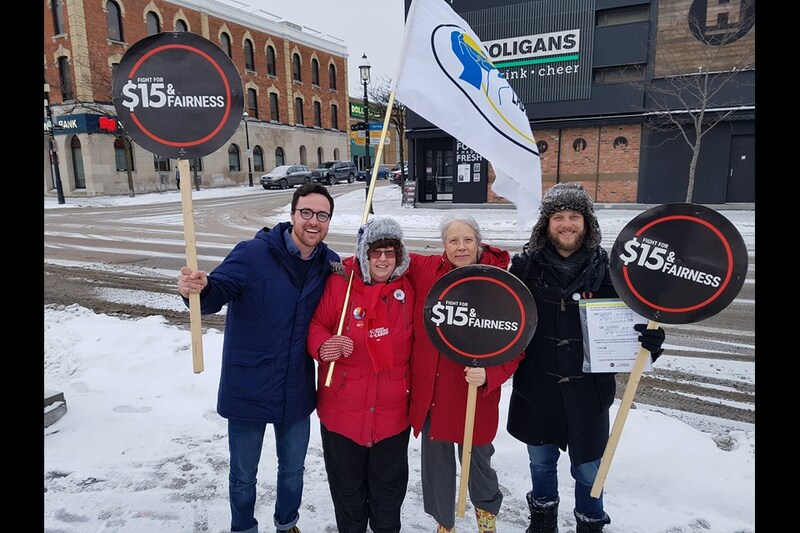 Dan Janssen was joined by fellow supporters of the Fight For $15 and Fairness group Friday afternoon in front of Memorial Square in downtown Barrie while the very cold temperatures and snow would have kept most away. “It is freezing out here, but I think that just shows our commitment to having this injustice changed and having worker’s voices heard,” Janssen told BarrieToday. Janssen, who ran in last year’s provincial election for the New Democrats in the Barrie-Springwater-Oro-Medonte riding, has been adamantly opposed to Bill 47, which saw the scaling back of the previous government’s promise to boost minimum wage along with other labour promises. He was joined Friday afternoon by Barrie and District Labour Council president Anita Johnson-Ford to spread the word about the Fight For $15 and Fairness campaign and to inform passers-by of the difference that could have been on some paycheques at the start of this new year. “We chose today for this rally because this would have been the day that a lot of workers would have received their first full paycheque of the year and that pay cheque would have been under the current $14 and hour for minimum wage,” said Janssen. Janssen made mention of Ontario Premier Doug Ford’s recent decisions to change his mind on some issues and that although Bill 47 did pass, it’s never too late to make a change. “You’ve seen what has happened with the Greenbelt issue twice now, once during the provincial election and then again recently with Bill 66, so we know this government can be swayed when they see that enough people have spoken up,” said Janssen. “We’re appealing to our local MPPs and the premier to stand up for the workers and make the minimum wage $15,” he added. Janssen was taking names and contacts at today’s rally in order to contact people about a future event planned that has yet to have a date. Dan Janssen is the Vice-President of Local 2323.